What Does Kelvin Rating Mean? Neu-Tech Energy Solutions has been in the LED lighting business now for over 10 years. 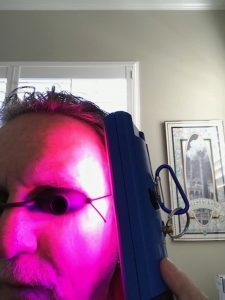 For the past 2 years we have been putting a lot of our attention on low power LED red and blue light wavelengths used in Red Blue light therapy. 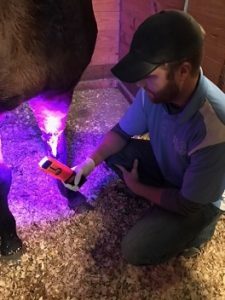 In a nut shell the blue light in the right wavelengths kills a wide variety of mold, fungus and bacteria including MRSA, Staph, Strep and many more. Our Red lights speeds up healing, relieves pain, and promotes anti-aging on skin and much more. We have been testing both of these lights for two years now and have had some amazing results. Red Light Therapy: What is it? Our western traditional medicine likes to deal with what we can measure in a lab and prove it to the FDA. 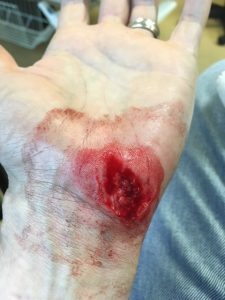 But NASA did some testing for the astronauts and came down with undeniable wound healing results using red light therapy. Now that NASA was involved conventional medicine started paying attention. A lot of this happened in the late 90’s. Over 10 years later, red light therapy has now been thoroughly researched and FDA approved for anti-aging, pain relief, wound care and many more applications soon to follow. Red light therapy involves having low-power red light wavelengths emitted directly through the skin. This process cannot be felt and is not painful because it does not produce any heat. Red light can be absorbed into the skin to a depth of about 10 millimeters. Once there it can have positive effects on your cellular energy and multiple nervous systems and metabolic processes. 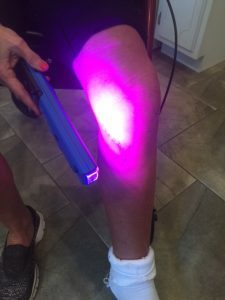 We have had great results using our lights for treating joint pain or osteoarthritis, arthritis associated with aging, speeding up the healing process, skin rejuvenation, acne, sprains, tears and pulls and more. There are no known side effects of red light therapy treatments but only a growing list of anti-aging benefits. We are working on several different products that we will be offering our customers. As you review red light therapy products on the market today you will find that the power most put out is very low. 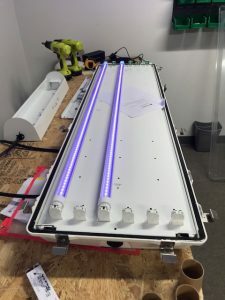 Since we have been in the LED market place so long and deal with higher power lights we have the wherewithal to be able to offer more powerful Red and Blue light products that get the job done a lot faster than the lower wattage units. Adding all of these together produces many different types of benefits for you in the area of Anti-Aging. The single most beneficial result of Red Light Therapy that most people are interested in is the effects of Red Light Therapy on the skin or Anti-Aging. Will this make me look younger? Red Light can be used for the following to help make you look younger. Pain Relief: for knees, shoulders, back, legs, neck, feet, elbows, hands etc. 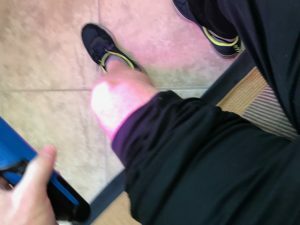 Red light has been cleared for use in specific nanometers on joint pain, shoulder, knee, tennis elbow, arthritis, golfers elbow, bursitis, tendonitis, rotator cuff, patellar tendonitis, and plantar fasciitis. 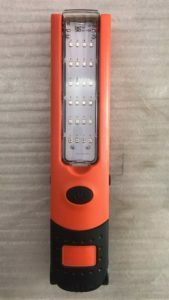 Healing: Our LED wand and red light have been used by many people who have had terrible wounds, cuts, abrasions, cold sores, gout and pain very successfully. Red Light Therapy has come a long way. The younger generation is spending more time in the gym and on the road running and staying in shape hence more aches and sprains and the need for our Ultimate Recovery products. The older generation has the most use for our Ultimate Speed Healing products for use on arthritis, bursitis, open wounds, total body pain relief, anti-aging and more. 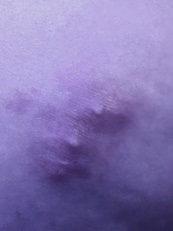 Acne, Bites, Bruises, Collagen, Cuts Scrapes, dry skin, psoriasis, stretch marks, rosacea, scars, wrinkles, flushing and more. Our first efforts using LED lighting at a certain color was using blue light to kill mold. 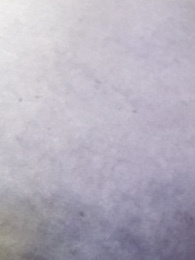 We found that a certain color of blue light in a certain wavelengths was killing mold on plants. Because of this we found a local mold and remediation specialist to work with on killing mold in houses and businesses that had water damage. The results were amazing. By hitting the walls with enough blue light the mold was being killed in a matter of minutes not hours and allowed the mold specialist to work in the area because these are only blue LED lights not UV lights which are dangerous to be around. 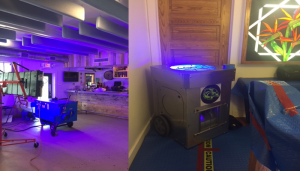 We are now using blue light to put in the positive sides of an air handler system to kill mold and bacteria just like a UV light does but without the issues of UV light such as short life span (9000 UV versus 50,000 LED), harmful to your eyes, harmful to material in the AC System like plastics and filters. The blue LED light will do the same job as the UV but last a whole lot longer. We are now using LED blue light to kill mold in wet and damp areas. You can hang them in our basement if you have moisture there that is causing mold. They are great for mold and remediation experts for killing mold in wet area from a water leak. You can use our hand held unit to kill the excess mold on your clothes and tools in your vans. There are thousands of applications for our blue light products. The most popular use of blue light therapy today is for the treatment of mild to moderate inflammatory acne. Blue light kills acne bacteria quickly, naturally, and without side effects. Blue light also kills the bacteria that causes those nasty hospital staph infections, including the antibiotic resistant ones. Blue light kills bad bacteria, even the antibiotic resistant kind. 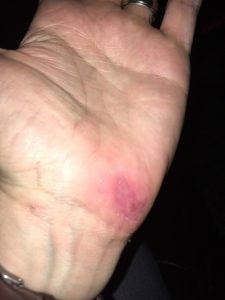 It would be a good idea to have a blue light therapy product around the house to disinfect everyday cuts, scrapes, bites and burns for your whole family. About two minutes of exposure to blue light should be enough for prevention. The great thing is, it’s totally painless. Inactivation of Bacterial Pathogens following Exposure to Light from a 405-Nanometer Light-Emitting Diode Array– “The results, which show the inactivation of a wide range of medically important bacteria including methicillin-resistant Staphylococcus aureus, demonstrate that… narrow-spectrum 405-nm visible-light illumination from an LED source has the potential to provide a novel decontamination method with a wide range of potential applications. It helps regulate mood and circadian rhythms. He will be able to help you with one of our blue or red light therapy products.